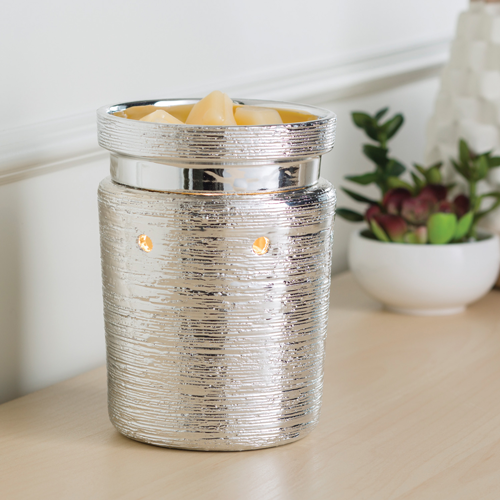 This metallic warmer features elegant horizontal banding and a detached dish. 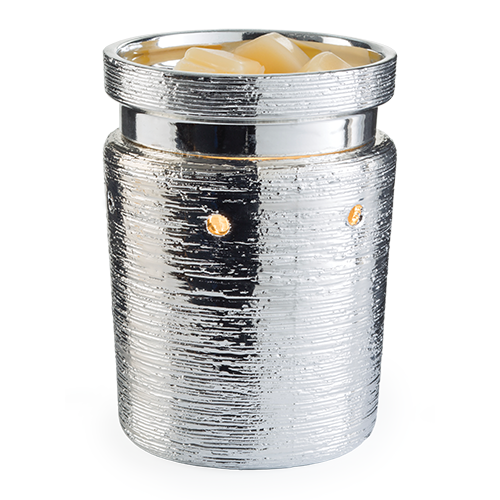 A soft halogen bulb creates a warm glow of light through the accent holes. Includes warming bulb.